This interactive workshop will look at the prevalence, consequences and causes of negative body image for girls and then focus on practical ways to promote a healthy body image for the girls in your lives. This session is geared towards moms who have daughters up to age 18 but any adult caregiver of girls is welcome to attend. Participants will leave with take-home resources and tips to promote a healthy body image for girls. This workshop will be led by Linda Lin, Ph.D., Associate Professor of Psychology at Emmanuel College. Linda is a clinical psychologist who has a special focus on health behaviors (e.g. eating disorders, obesity, exercise, smoking). Her research centers on body image and she is passionate about helping women fight a culture that objectifies them and uses beauty/thinness as a measure of women’s value. This workshop is open to the public so please share with your friends and neighbors. Need-based financial scholarships are available. 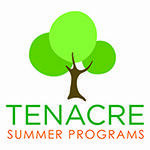 Email Lee Frechette at lfrechette@tenacrecds.org or Leslie Coles at lcoles@momsasmentors.org for more information. Join us for an evening all about curriculum. Hear from the teachers about why Tenacre is an exceptional place for your child to learn and grow. Choose three sessions to attend. For more information and to register, go HERE. Questions? Click on the link above to email Elizabeth O'Connell.